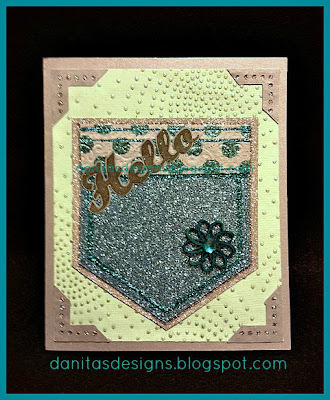 ﻿Hello everyone, it's Danita from danitasdesigns.blogspot.com. It's been a very busy month for me so far, weddings, birthdays, taxes (ugh!!). 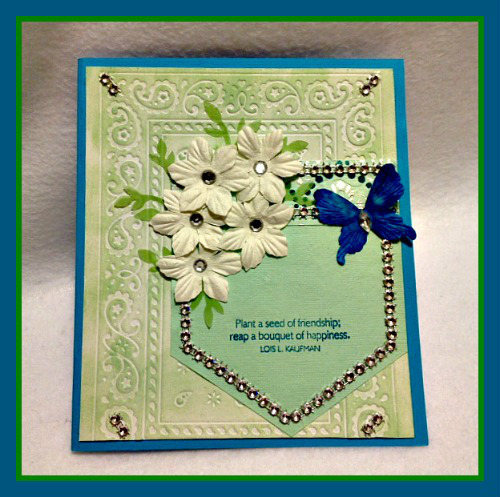 I needed some "me" time so for my DT post this month I decided to go back to my first crafting love....cards!! 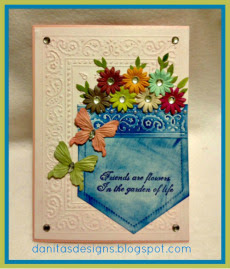 Yes, I truly love making cards. It relaxes me. I hope you enjoy them. 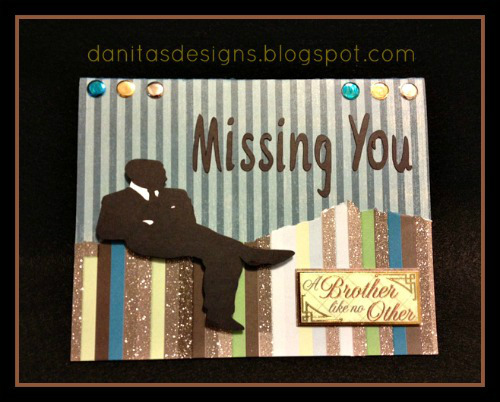 I made this one for my brother that I haven't seen in a while. 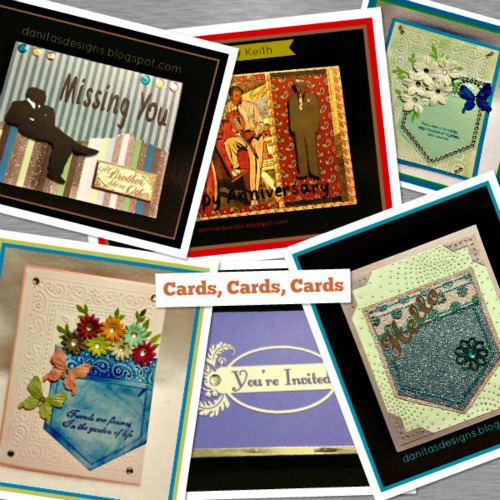 He spoiled my surprise by coming into my craft room and going through my cards!!! This is something he never does!! He said he just wanted to see what I'd been working on. I was so upset because this will be our first anniversary apart (going to Mania with his blessings) and I wanted to surprise him. Oh well, I guess I better come up with a Plan B!! I designed this card with my Silhouette Software for my husband's aunt. I had to make 40 of these. I bought a Sizzix pocket die off of a Face book group for a really good price. I've always wanted this die, so when it posted, I nabbed it!!! I had so much fun making these. Don't be surprised if you see a lot of pocket cards in the future. I made this for a friend. I hope she doesn't see this before it arrives at her home! I love all your cards! It's very cool that all the pocket cards look so different from one another. 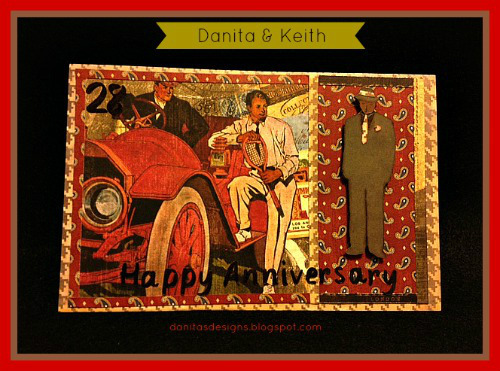 Danita, I love your cards!!! They are all beautiful!!! Sorry your hubby spoiled your surprise; how disappointing. 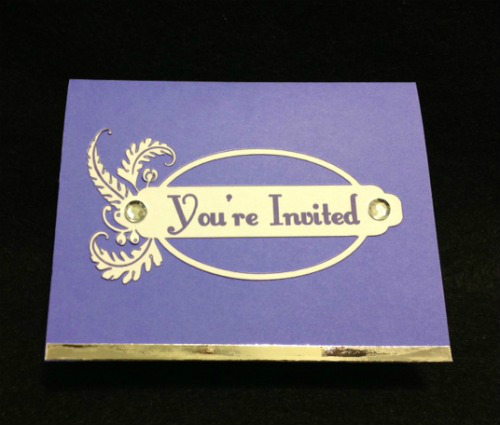 On the up-side, I'm sure it was a delightful surprise for him to know you'd created this fabulous card for him.